The Old Majestic is a poignant comedy-romance set at the beginning of the Great Depression. Eight Vaudeville performers bravely face the end of an era, as they see Vaudeville giving way to film. The libretto includes actual Vaudeville routines plus quotations from celebrated Vaudeville performers. The single set shows the backstage of the Majestic Theater with an off-stage chorus of booers and clappers to represent the audience during a performance. ..a romp, full of fun, wit, charm, drama, good music ...The banter,... vaudeville jokes, the characters are all absolutely wonderful ...The action is non-stop... the laughs real and regular. The breadth of the music is almost unbelievable, from a love duet to lively ragtime, a tango and a grand finale, placing it all, in Rodríguez's words, somewhere between Broadway and opera.”...a splendid, delightful work ...with its wit, charm and genius. We have not heard or seen the last of this cleverly brilliant opera... whose message and music are wonderfully universal. "...captures the poignancy of an era's end..."The Old Majestic" is a fine piece of theater about theatrical life, as lived by seven vaudevillians — on the way down, out or (via Hollywood) up — and the theater manager. The action is sometimes very funny and fast, sometimes introspective, sometimes tender. 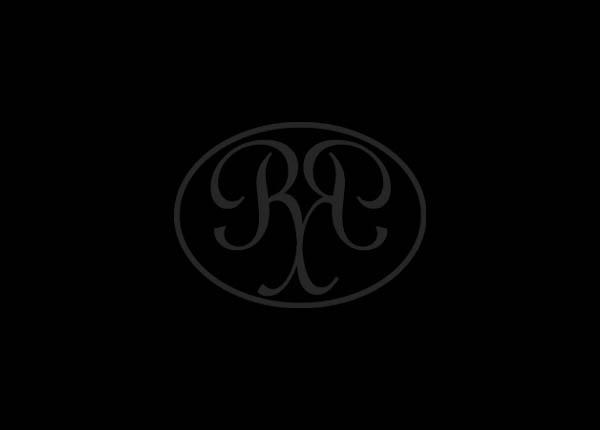 Rodríguez's music convincingly and lovingly re-creates the styles of the era...Rodríguez's modernist leanings also show in the connective tissue and in the textural complexities of the score. The music is highly attractive, whether it's frenetic or meltingly lyrical. Manufacturing and the service industry are only the latest victims of outsourcing. "The Old Majestic" follows the final days of a vaudeville troupe whose jobs on the stage have been outsourced to the Hollywood Talkies. Set in 1930, following the stock market crash, the troupe copes with the death of their hard-fought careers as true performers; they sulk. With a fusion of the silly and the sublime, Mary Medrick, librettist, revives those last days through hilarious one-liners and bits from actual stage routines. While the Bob Hopes and Gypsy Rose Lees of the era were lucky enough to find work, the eight Vaudevillians of the Majestic Theater in San Antonio must move on with their lives. The libretto interweaves true wit and corny jokes of some of the real vaudeville stages' finest performers, most noticeably the side-splitting Eddie Cantor. This one is a story with a heart and a life all its own. "The Old Majestic" is more than a standard "Rigoletto" style opera experience. The style of the show combines the Broadway musical with an operatic ensemble that gives a truly unique swing to the numbers. The house jumps with every music genre from the lovers' duet to a ragtime jitterbug to a sultry tango, all leading to the Grand Finale, worthy of a standing ovation all on its own. ... an operatic valentine to vaudeville... with characters and plot devices that echo the popular musical comedies of the day: showbiz troupers dreaming of the big time, a vain star who makes everybody miserable, a Mutt-and-Jeff comedy team, lonely souls who discover romance, an unexpected windfall. Rodríguez and Medrick don't merely pay tribute to this theatre of bygone days, they sweep us up in its conventions, the better to make us appreciate its diverting and uplifting charms. Those charms are evoked with a disarming sweetness... a reminder of that time gone by, a captured moment of the past. It's of a twilight not for gods but for mortals – and mortals who sing and dance and clown... and the sound – oh, how sweet it is. UT-Austin production, 2004. Amitava Sarkar, Photography InSight. 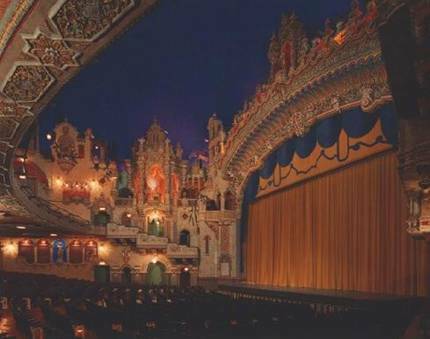 The Old Majestic (1988), commissioned by The San Antonio Festival, is a back-stage comedy/romance set in 1930 and inspired by the historic Majestic Theater in San Antonio, Texas. The stock market has recently crashed, and The Majestic, like other Vaudeville theaters, is beginning to show more and more movies. It is clear that Vaudeville performers will soon be replaced by films altogether. Faced with the approaching end of their professional world, the opera’s eight fictional Vaudeville characters cope in a variety of ways, both comic and serious. Included in the libretto are bits of actual Vaudeville routines along with authentic sayings and reminiscences of a number of celebrated Vaudeville performers, particularly the colorful Eddie Cantor. Reference is also made to the 1926 film, Son of the Sheik, which is acted out by the cast in a spirited parody which leads to the climax of Act II. The score was completed in Dallas in March, 1988. 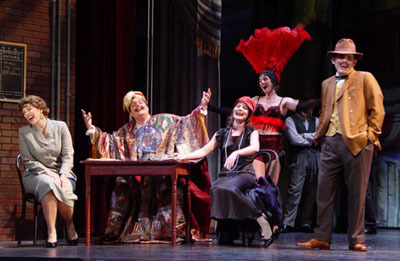 The musical language of the opera is colorful and varied, including classical elements (serialism, bel canto lyricism and intricate opera buffa ensembles) along with broad Broadway strokes and liberal doses of parodied Charleston, can-can, tango, silent movie music, circus music and ragtime. The 1930’s Vaudeville setting is established through the instrumentation (a typical pit orchestra featuring solos for saxophone, accordion and off-stageout-of-tune piano) as well as through the use of evocative Kurt Weill-inspired harmonies and the brief quotation of four popular American tunes of the day: “Frog Legs Rag” (1906) by James Scott, “Sensation” (1908) by James Lamb, “Hot Lips” (1922) by Henry Busse, Henry Lange and Lou Davis, and “Texas Fox Trot” (1915) by David Guion. There is also a fleeting reference to Richard Strauss’ 1911 opera Der Rosenkavalier, likewise a nostalgic farewell to the end of an era. In addition, Rodríguez includes four fragments stolen from himself: two from earlier operas, Tango and Monkey See, Monkey Do (both 1986), and two from ballets, “The Couple Action Rag” from Estampie (1981) and “Lust” from The Seven Deadly Sins (1984). All are fused into the composer’s characteristic “richly lyrical atonality” (Musical America), in a style “romantically dramatic” (Washington Post) – full of the composer’s “all-encompassing sense of humor” (Los Angeles Times) and “brought into artistic focus by a strong sense of stylistic integrity” (American Academy/Institute of Arts and Letters). Act I. Summer, backstage in the Majestic Theater during a vaudeville matinée. Applause from the audience in the theater is heard as the action begins. A pompous magician, The Great Nelsoni (bass-baritone), passes through the backstage area to perform on-stage, pushing Nora Kelly (soprano), a pretty young singer, on ahead of him as his assistant. Madame Fifi (mezzo), a former ingénue, now reduced to doing a dog act, primps at a mirror, praising the comforts of the luxurious new Majestic Theater. The comedy team of Lou Ferren (tenor) and Sammy May (bass) bicker good naturedly about their act. A telegram arrives, informing May of his brother’s financial ruin. Madame Fifi expresses sympathy, and the three sing of their good fortune to be in Vaudeville, away from the cares of the outside world. Jeers and laughter are heard from the Vaudeville audience. Nora enters in tears, pursued by The Great Nelsoni, who is enraged at having been laughed off the stage. Nora and Nelsoni tell their sides of the story to Ben Palmer, manager of the theater (baritone). Nelsoni is furious because Nora failed to open the trap door in time for his famous escape from “The Cabinet of Death.” Nora’s sisters (soprano, mezzo), who perform with her in a trio called the Plum Sisters, enter. Nora indignantly defends herself, but Nelsoni fires her and exits as Ferren and May leave to perform their act. Nora’s Sisters comfort Nora, and Madame Fifi offers advice. Even doing a dog act, Fifi reveals her undying enthusiasm for the joys of show business, with all of its ups and downs. Two young men in uniform come to take Nora’s Sisters out as Ferren and May come off the Vaudeville stage after their act. Fifi moves majestically toward the stage to perform with her dogs, May doffs his hat, and the two soldiers snap into a respectful salute to Fifi as they leave with the two sisters. Alone, Nora remembers Fifi’s words and the encouragement of her father as she dreams of stardom. Ben, returning to find Nora, listens to her soliloquy. Ben admits to Nora that Nelsoni was wrong to treat her badly, and she agrees to finish the week as Nelsoni’s assistant out of loyalty to Ben and the cast. Ben encourages Nora to pursue her dreams, and the two are drawn together in a kiss. Suddenly, barking and shouting is heard from off-stage. Madame Fifi rushes in, frantic because her dogs have run away from her. Ben takes charge as Ferren and May, stagehands and other members of the cast excitedly dash through, looking for the dogs. Nora rushes to Fifi’s side as Nelsoni storms in, waving a badly chewed and stained cape in one hand and brandishing a sword in the other. He charges after the dogs, as Fifi faints in Sammy’s arms, and the curtain falls. Act II. Winter. Same back-stage setting, just before an evening show. Nelsoni, seated before a crystal ball, performs a comic version of his telepathic act for Nora’s two sisters and his new assistant. The girls cheer him on, and he makes wild predictions to amuse them. Ferren enters to join the fun, and Nelsoni mysteriously predicts that someone they will know will become famous, prompting Ferren to brag that he has just signed a Hollywood contract. Sammy and Fifi enter. After the group shares a joke about the demise of an agent, Nelsoni makes a distasteful reference to “taking a swan dive.” Sammy, still grieving over his brother’s recent suicide, turns on Nelsoni for his lack of sensitivity. Nelsoni derides Sammy’s fragility, and Sammy counters that there is greater strength in compassion and versatility. He calls Nelsoni a fossil, who will be left behind as times change and movies replace Vaudeville. Ben and Nora enter, warmly catching up after their last six months apart. Now that the Majestic has begun showing movies before each Vaudeville show, a messenger boy comes in with the movie to be featured before that evening’s show. Ferren notices that the film is Son of the Sheik, starring the famous Latin lover, Rudolph Valentino. Ferren and Nora lead the cast in a ridiculous parody of the film, in which Sammy, imitating Valentino, is paired with Fifi as his romantic lead. Nelsoni, drafted to be the villain, is vanquished in a mock battle with Sammy and is unceremoniously knocked to the floor. Rising in anger, Nelsoni seizes the canister containing the film and violently flings it down, causing it to unwind. Ben sees Nelsoni’s outburst and invites him to listen to the Majestic audience, which is now clamoring for “Valentino!” Nelsoni coolly replies that the real show will be the Vaudeville, after the film. Sammy May and Fifi, alone on the stage, talk about the future and their vanishing place in the theater. Sammy timidly declares his love for Fifi, and Fifi happily responds. Ferren enters with another telegram for Sammy. Sammy has inherited great wealth from his brother’s estate, so Ferren is relieved to announce his new movie contract. Ben, Nora and her sisters enter. Fifi and Sammy announce their plans to retire together, and Nora tells Ben that she must leave to pursue her singing career, but that one day she might return to the Majestic to be with him. Boisterous audience noises are heard from the theater, and the Vaudevillians joyfully celebrate show business as they prepare to start the evening’s performance.